New index-based livestock insurance protects vegetation rather than animals. But can it generate trust within the community? 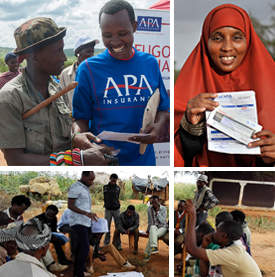 It was almost inevitable that the day chosen to make the first drought insurance payments in Wajir, in the arid north-east of Kenya, would be the same day the rains came.